Bonjour! Today on the blog I am featuring a schmorgasboürg of affordable items! First off, the shoes I am wearing were my very first purchase I made in France and came to a total of 15 euro at Etam (a french store that is similar to forever 21.) 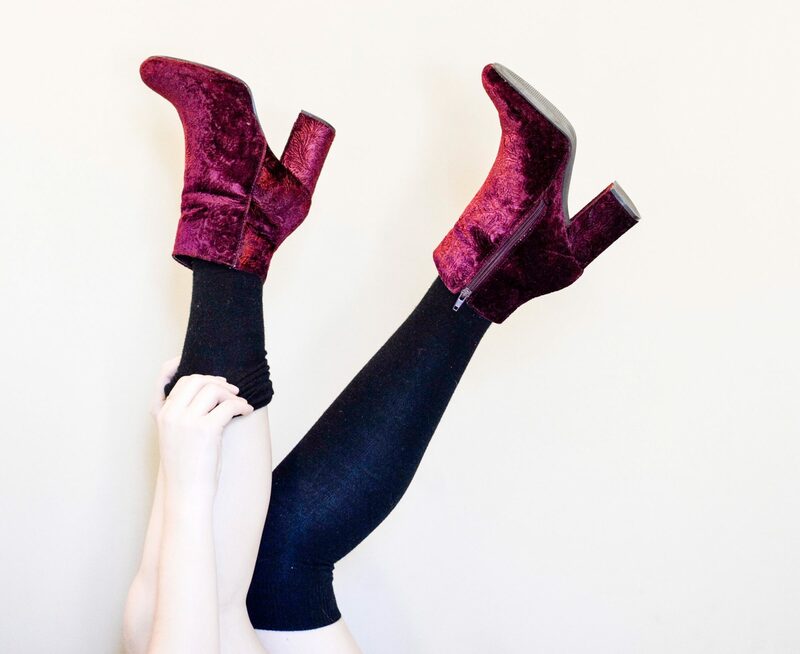 These faux suede beauties have become crucial to my outfits in these past 3 weeks and would highly recommend finding yourself a pair because they go with everything. Next, the black jeans I am wearing are from the GAP and I bought them for around 25 dollars; however, I modified them by cutting holes in the knee to create that sassy skin peep you see (pro tip: DIY is almost always cheaper than buying pre-ripped jeans.) Lastly, the faux turtleneck yo girl is sporting was around 3-5 dollars from H&M. So really if this outfit isn’t the epitome of getting the bang for your buck, I don’t know what is and I shouldn’t be writing this blog. France is a wonderland of affordable finds. So as you can imagine, I’ve been capitalizing on said wonderland…so be on the look out for more affordable posts to come! Keep up the savvy shopping my friends! Previous PostPrevious What’s in your Wallet?